Enter a valid Canadian postal code. 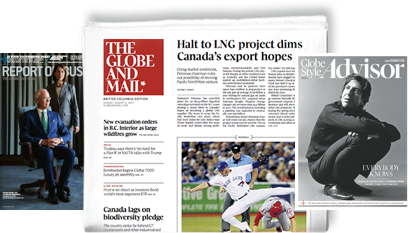 Globe2Go is the digital newspaper replica available for auto-delivery download at 5AM ET on any device. 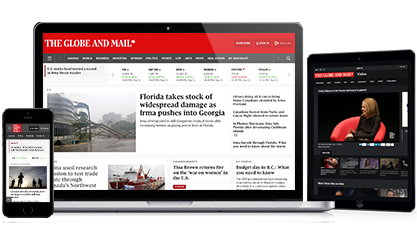 Your experience includes a seven day archive, offline reading, audio listening, language translation, full edition printing and article sharing. New Offer! Choose how you want to experience The Times. 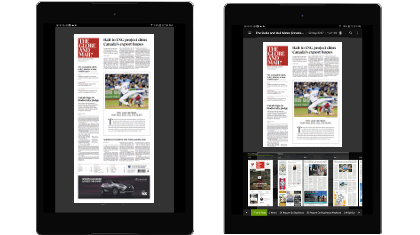 Subscribe today and save 50% on a New York Times Digital or Home Delivery Subscription.